- FrancesCassandra: UK fashion, beauty and lifestyle blog. 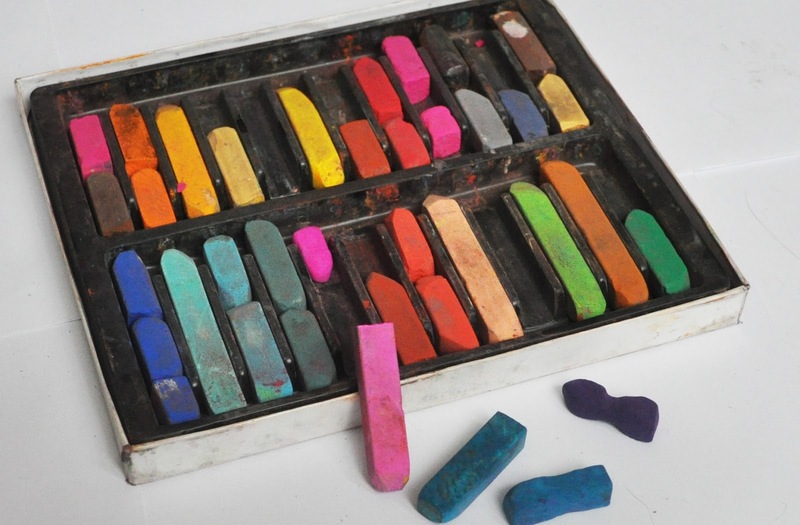 : Chalk Pastel Highlights. I have some chalk pastels at home too, back from A level art.I will delve under my bed and find them out when I'm back at home as I'm away at University at the moment. That's actually an amazing idea.. definitely works better than bleaching and colouring and discovering it's not the look for you! 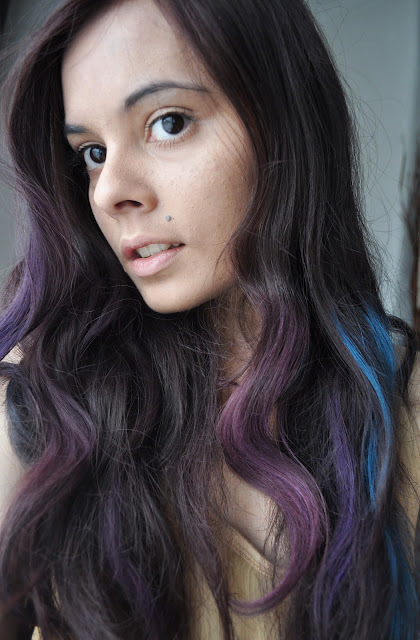 I wondered if it would be visible on my dark hair :D Now I now it will... I will buy chalk and try it. I really love the way it looks. Why wouldnt you wear it out? I would love to go for the real thing, I'm not quite brave enough. Thanks for showing it works on dark hair too!! I love this, lauren conrad posted about it! love your blog girl keep up the hard work! This is such a great idea, I really love it, especially as yes I am not brave enough to use proper dye on it, haha. This is so cool! I really wanna try this. Just found your blog and now a follower! I think these highlights look amazing and really suit you, I'd be a bit scared to try it if its as messy as you say though! Love your DIY post below of the loafers, I bought the Topshop ones but took them back because I couldn't warrant paying £28 for them so I took them back :( so I'll definitely be trying out the DIY instead! Looks so good, such a great idea for a temporary pop of colour! Oh my god!! that looks amazing definitely going to try this out. Your hair looks amazing! 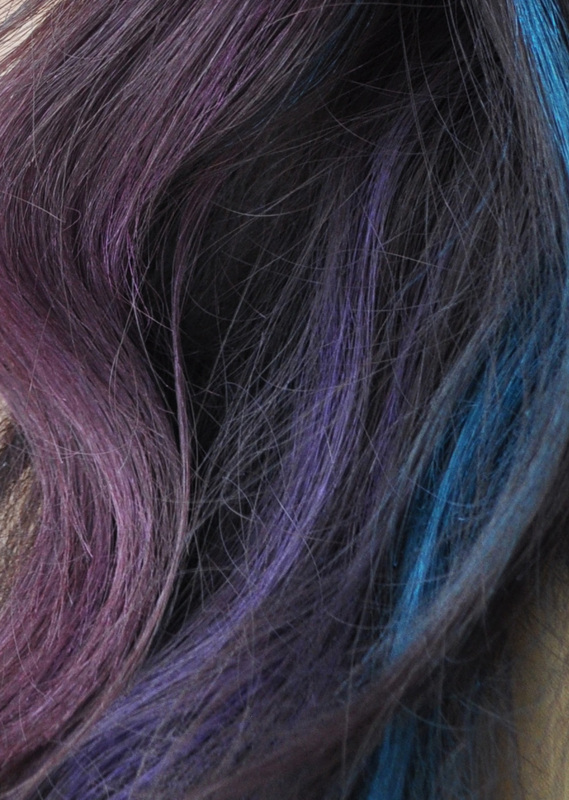 I don't think I'd suit all those colours myself but your hair really suits it. Hiya! This is totally cool! Hope I get to try this :) Two thumbs up!